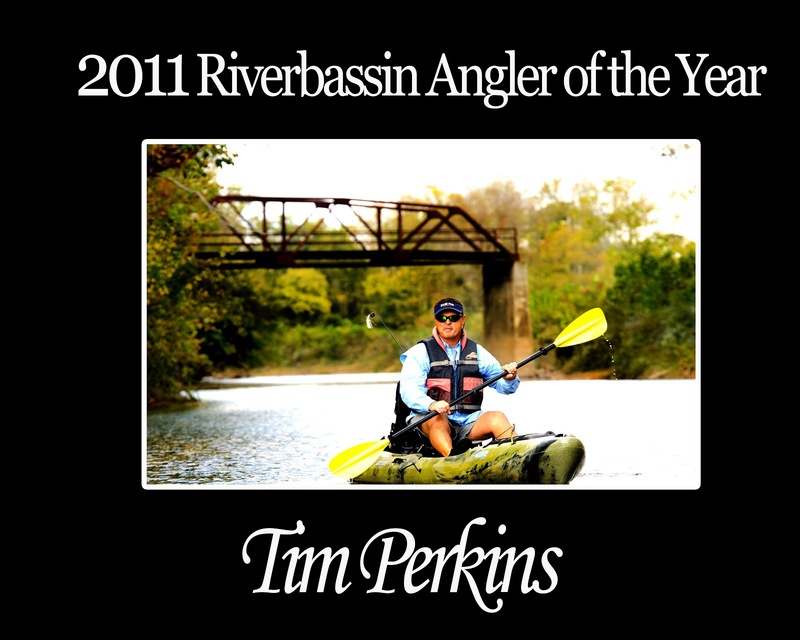 So yesterday I introduced you all to the insightful, fun loving brain of Tim Perkins - top notch father, husband, fisherman, and story teller. Now it is time to finish off the interview...redneck ninja style! When and why did you first get into a kayak? I got into a kayak about 5 years ago, even though I have river fished since I was 10 years old. We fished out of homemade boats (Batows), LOL. Even in my bass boat days I still stayed true to my passion. About 5 years ago I saw a guy in a nearby river fishing from a kayak. It happened to be a dry year and I saw how effortless the kayak was on the water, how stable and how it was so controllable by one man. I had to have one. Now I’ve had to go through a lot of kayaks to get the kayaks that were best for my use. I can say I’m hooked. I tell people that I just added years to my river fishing! I know you did some bass boat guiding and tournament fishing in the past. Tell me a bit about the differences in your approach to a day on the lake from a power boat versus a bass boat. My personal approach, no matter what kind of boat, is to out work my opponent. Thats physically and mentally being better prepared. I use my past experiences as strengths. From the Bass boat I found myself always overanalyzing my pattern and strategy. I found myself always fishing too fast or quick. I second guessed a lot more from my bass boat. I always did well on river type impoundments (wonder why?). I caught myself spot fishing because of access to being more mobile. From a kayak it has forced me, so to speak, to slow down and be more thorough. Kayak fishing definitely has sharpened my awareness and senses. The awareness to my environment around me, because of my lack of mobility, has been a compliment. 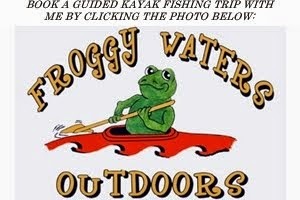 Kayak fishing is the purest form of fishing. I catch myself just going fishing again and letting the fish talk. I’ve learned to trust my instincts once again! There may be some overlap here, but what do you think are some of the benefits of kayak fishing? It makes my limitations become strengths! I mean I really have to be more aware of my surroundings. I think I can reach fish that others can't. I can get closer to fish due to stealth of my craft. The list goes on. The proof is that I CPRed 1200 plus fish this year. How many people do you know who have accomplished this? Point made... LOL! You and I are river rats. We love fishing flowing water. What draws you to river fishing? I think it's that Tom Sawyer sense of adventure in me (LOL)! I’ve yet to grow out of it and pray I never do. It is that ultimate sense of what's around the next bend...that sense of wanting to conquer the river and seeing nature so real and close. Passion!!!!! What are some of the biggest threats to rivers in your area (Alabama)? Withdrawal is the most pressing threat to the rivers in my area. Some of our bordering states have reputations for not being good stewards of their own water. They have a demand for clean water to drink...now! So they are wanting to tap the Tallapoosa River Basin - one of the last clean basins in the southeast. It can’t sustain the volume needed for their support. Water wars! Of course we have PCB problems in the north of the state and mercury problems in the south of our state. I think most people would be surprised by the amount of contamination in their state. It's actually pretty sad. Alabama is not the only state. Actually that was part of my RB strategy. I know that sounds stupid, but if water is contaminated then no one eats the fish so there are more fish to choose from. All I needed was to take pictures and throw the fish back. It worked great in the 9 states I fished. Each state has a DNR website. Check it out - it will shock you! I have been following our states reports on DNR since water wars started 20 years ago. It is important for river people, so you can help DNR educate people. It’s rumored that you go by “the redneck ninja”. Tell us a good redneck ninja story. The ways of the redneck ninja (RNN) are always being perfected! Life is a training ground for the RNN (LOL). Oh my God, there are so many ninja stories - a lot are in my upcoming book! Walking logs, timbering young trees, finding drinking water on the river, cutting the toes out of your tennis shoes to make those cool water shoes, gathering bait with a chainsaw...man the list goes on. The ninja story of all stories actually won my wife’s heart. I caught 32 fish with a pair of shoes! True story- LOL! They were green and white Stan Smith Adidas, to be honest. We were dating and we left hand in hand. We came home with a homemade stringer (a tree limb) full of panfish! Get the grease hot! My future inlaws were like - man who is this man?! LOL! Seriously, I took a shoe lace and would attract my prey and I would take the shoes (which, by the way, were my wifes shoes, LOL) and scoop the bream up with my badger like reflexes! I sat there and caught 32 bream with those shoes, LOL! The rest is history! Everyday is a journey of opportunity MY SON! I know family is very important to you. How do they motivate you when you are out there competing? Also, maybe a more interesting question for some of my audience, how do you convince your wife to let you fish so much? My family is very important to me, Drew. Without them, truthfully, we have nothing. My wife and I have an amazing relationship! My wife is a great motivator for me. She believes in ME and what we do and the direction we’re going. I remember the Nashville tournament. I fished for a day and a half and had a 14” fish to show for it. I called Michelle and told her I was coming home. She told me in no uncertain terms – "don’t come home unless I win", LOL! I got off the phone, got my maps and went to work. It worked - I actually Won Nashville. I won individual, I won team and also won big fish! She knows how to get my attention and help me focus on the job and not the circumstances! She kept me on stage all year! How do I convince her....LOL well you asked!!! This is my new soap box topic - LOL! Seriously I do have a secret and I’m proud of that. I had to learn the hard way…that is all in my upcoming book! How many times have you went fishing knowing your respected other wasn’t happy about the fact (LOL)!!! I used to swear Michelle had a voodoo doll with a case of pins and matches - LOL! My trip almost always was not enjoyable or successful to say the least. If you still really want to know - READ ON. First let me say I have an amazing wife - just like a lot of other men do. The big difference is my wife knows she’s amazing. Let me say my wife knows without a doubt that she is the most important thing in my life, second to God of course. That seems so simple, but probably the most neglected factor in a relationship. I promise you when your wife knows (and she has a good barometer) she’s the most important thing in her husbands life she will bless you because she loves you. Happy wife, happy life! I know I got heavy, but I’m very passionate about this subject. There was a time when fishing consumed me! I got a second chance, so to speak. Don’t get me wrong, my wife knows how important fishing is in my life. But more importantly, I make her feel she is more important than fishing! Not with just my words, but with my actions. Most of us guys fail. No, I’m not some kinda guru. Like I said I had to learn the hard way. I hope I can reach a lot of men with my upcoming book. I was put in a situation where my fishing meant nothing without my wife! My experience offered me great insights to put men in a win /win with their relationships as well as their fishing. That’s my story and I’m sticking to it - LOL. What is your dream job in the kayak fishing industry (or is it in another industry)? I would like to publish a couple of books and DVDs and be a national seminar speaker. I love sharing my experiences. Where do you see the sport in another 10 years and where would you like to fit in it? Wide open. I really believe the sport is on the edge of an explosion. I think that kayaks or man powered (crafts) will be the norm. 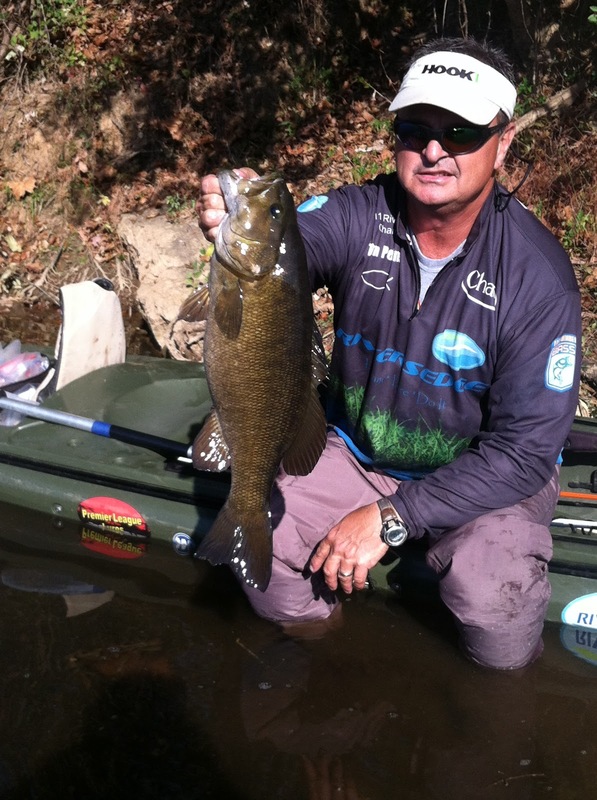 Which pulls harder, an Alabama Spot or a river smallmouth? I’ve had this conversation many times. Both fish, the Alabama Spot and the Smallmouth, you have to tip your hat to and respect! They are worthy prey for any angler and on a given day you’ll meet your match and then some. I’m on the water 180 days plus each year. I’m in the hotbed of monster spots. I’ll say this for both of them - they know their habitat . If you had to give a piece of advice to someone just starting off in the sport, what would it be? Go back - it’s a trap! LOL, Just kidding. I would probably say to get with someone for advice about your equipment. Starting with great gear is a first and foremost step. Then an important piece of advice would be - don’t get caught in the glimmer of the industry. I see this mistake a million times! Know that there is no easy way and no-one is going to give you anything! There are a lot of guys that throw the word or title professional around, when the truth is there are less than a handful of true professionals that I know in the sport! Stick to getting grounded in the sport on your own merit. Then the glimmer will come when you've paid your dues, so to speak. I’ve seen so many get caught in the HYPE and it almost always doesn’t turn out. They end up frustrated and dropping out of this great sport. Slow your roll! It’s all GOOD. What is your scariest on the water moment in a kayak? For two years running, on the road in 2010 & 2011, I came a cross a drowning! They were both on the week of July 4th and a year apart. Both cases were young adults on the river playing. And in both cases alcohol was involved. I’m telling you it pits your stomach to see wasted life! I know as a parent that, that young person has parents that love them. I empathize with their loss! 2012 is almost over. What are some of your goals for 2013? To publish my book, of course, but I’m working on a project I can’t disclose a lot about at this time. But it is going to be BIG this year - LOL! I’m putting together an instructional type video I’m very proud of as well. You’ll have to follow us on RiversEdge! A GoPro 3 and possibly negotiating my retirement from education. What do you like to do outside of kayak fishing? A huge thanks to Tim for doing this interview. I know he is a busy man. If you are interested in getting in contact with Tim, follow the links in the interview to the RiversEdge website or shoot me an email. I hope everyone has a safe, wonderful, food filled holiday with friends and family. Happy Thanksgiving & tight lines!